In a previous posting I formulated a proposed personal wine cellar that consists entirely of Italian wines and costs approximately $1,000 at current retail prices. Now, I’m going to up the ante and look at what one can buy in the way of Italian wines for $5,000. But it’s not just a matter of going out and buying wine until you’ve reached the $5,000 limit. Assuming you have the funds, that’s easy to do. But if you want to stock your cellar with really interesting wines that you can drink everyday with dinner as well as special occasion wines that you can serve with pride to dinner guests, all without breaking the bank, then you need to give some careful thought to the process of stocking your wine cellar. The wines were selected on the basis of both quality and value. They are wines that exhibit exceptional value at all price points and qualify as wines with high quality-to-price ratios. For example, the personal wine cellar list includes some little-known and relatively inexpensive gems such as Capezzana’s “Villa di Capezzana”, Coppo’s “L’Avvocata” Barbera d’Asti and Franco Toros’ Collio Pinot Bianco, among others, all of which retail for less than $28 a bottle. With Italian wines, you don’t have to be a big spender in order to drink well. While many of the wines selected are age-worthy in that they will improve still further with bottle aging, this is not a cellar for the persevering collector who wants to lay away wines for the long-term. Rather, these are wines to accompany dinner over the course of the year and special-occasion wines for sharing with friends. 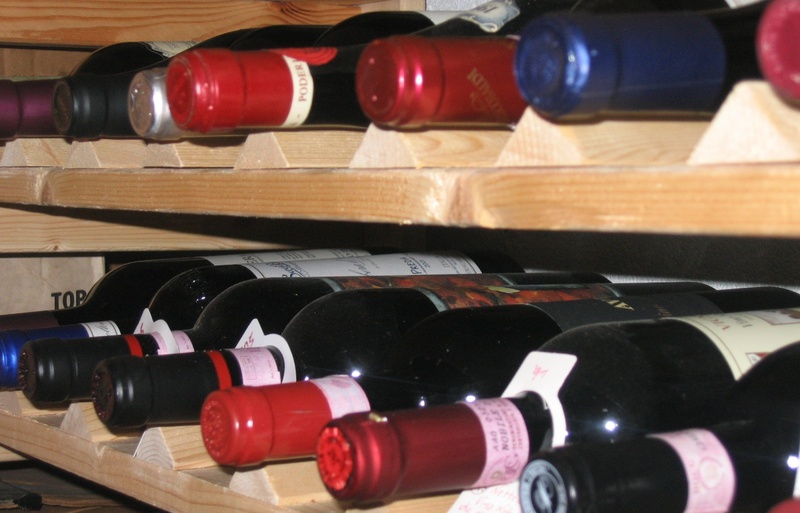 The $5,000 Italian wine cellar list is varied in terms of style and region. Italy has an extremely diverse wine culture with numerous native grape varieties and grapes grown over the length and width of Italy. A well-appointed Italian wine cellar should reflect that diversity. Reflecting this diversity, the proposed wine cellar includes some crisp, European-style white wines from Italy’s cool-climate northern Alto Adige and Friuli regions as well as some more textured whites from central and southern Italy. It also includes some extraordinary but not well-known reds from Campania, Puglia and Sicily as well as some celebrated reds with bold-face names from the Piedmont, Tuscany and Veneto regions. In this regard, the regional distribution of wines in the proposed personal wine cellar list reflects the regional distribution of wines in Gambero Rosso’s annual Guide to Italian Wines (see, for example, Gambero Rosso's Tre Bicchieri awards for 2013). Approximately two-thirds of the wines on the wine cellar list come from four regions – the Piedmont, Tuscany, Friuli and the Veneto. The rest are widely scattered throughout Italy’s diverse wine scene, from the alpine Alto Adige region in the northeastern corner of Italy to Puglia and Sicily in the Mediterranean south. Approximately 68 percent of the wines are red, 21 percent white and the remaining 11 percent fall in the “other” category – i.e., sparkling, sweet, etc. Overall, there are 152 separate wines in the proposed personal wine cellar. Since you may want a second bottle of a wine that you tried and really enjoyed and/or you may need more than one bottle of a special wine to serve to guests, the wine cellar list includes multiple bottles of some wines. For example, Italian sparkling wines are perfect for informal, casual gatherings, especially during the summer, so the proposed wine cellar includes several bottles of Prosecco. It also includes several bottles of Bellavista’s elegant Franciacorta Cuvee Brut for the holidays or other occasions where an elegant bubbly would be in order. The wines selected for the $5,000 Italian wine cellar are presented in the following table where they are sorted alphabetically by region. This selection of wines with it’s regional diversity, high quality-to-price ratios, wide appeal and overall spirit it denotes comes closest to my notion of the perfect $5,000 Italian wine cellar. Fattoria Valentina Montepulciano d'Abruzzo "Spelt"
Masciarelli Montepulciano d'Abruzzo "Marina Cvetic"
Valle Reale Montepulciano d'Abruzzo "Vigne Nuove"
Mastroberardino Greco di Tufo "Nova Serra"
Jermann Pinot Nero "Red Angel in the Moonlight"
Pasquero-Elia (Paitin) Barbaresco "Vecchie Vigne Paitin"
Pecchenino Dolcetto di Dogliani "Siri d'Jermu"
Duca Carlo Guarini Primitivo Salento "Vigne Vecchie"
Santadi Carignano del Sulcis Superiore "Terre Brune"
Tasca d'Almerita (Regaleali) Conte di Sclafani "Rosso del Conte"
Altesino Brunello di Montalcino "Montosoli"
Felsina Chianti Classico Riserva "Rancia"
Policiano Vino Nobile di Montepulciano "Asinone"